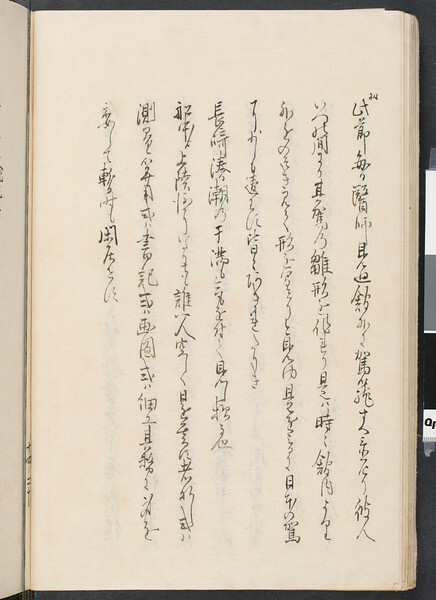 Volume eight of a manuscript by Gentaku Ōtsuki and Kōkyō Shimura who drew from four Japanese fishermen the story of their voyage around the world during repeated interviews. The Kankai Ibun is an account of their journey when they were sent off-course en route to the capital, Edo. The fishermen were rescued by a Russian ship and taken to late 18th / early 19th century Europe and, most especially, Russia.